The Diagram class provides record, stopRecording and replay methods that can be used to save and replay all user actions with keyboard and mouse. The replay method takes recording, timer and diagramJson parameters. The recording argument is an array of records returned by stopRecording. If the timer argument is set to true, events are replayed from a timer preserving their original timing, otherwise they are replayed immediately. Timer mode can be used to show tutorials played directly in the diagram. Immediate mode could be used to automate user interaction testing where an assertion is checked after replaying series of events. Recorded events could also be replayed as macros if ran on a diagram with items placed on same initial coordinates. User interaction can now be tested automatically in several ways outlined below. where position is a Point instance specifying logical coordinates in the diagram (in current measure unit, not scaled by zoom factor). The results of called mouse methods will depend on diagram's current Behavior, e.g. you could assert that a sequence of down, move and up events creates a ShapeNode when Behavior is set to DrawShapes. Create an instance of controller class and call its start, move and commit methods. This would not depend on the value of diagram's Behavior, but could be still affected by other behavioral properties such as AllowSelfLoops and AllowUnconnectedLinks. Check assertions after replaying a recording on a saved diagram. The diagram can now be used without JQuery and Microsoft Ajax libraries. To enable that mode, set ClientSideMode to StandAlone for DiagramView. Stand-alone mode requires relatively modern browsers, the base feature-set against we test it is the one of IE11. 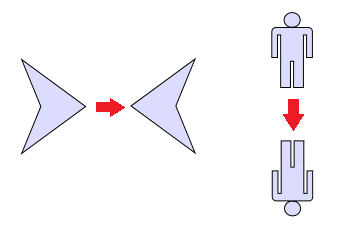 The shape of a ShapeNode can be flipped horizontally or vertically. Enable the AllowFlip property and the shape flips when an edge is dragged over its opposite edge. You can get or set current flip state using FlipX and FlipY properties. CaptionBackBrush and FoldIconSize properties added to ContainerNode. Multiple rotation of nodes improved, now node angles are modified by same rotation delta calculated from mouse position instead of pointing all rotation handles in mouse direction. Updated assemblies and script files are also available as MindFusion.Diagramming.Mvc NuGet package.